Having watched your program on BBC1 for many weeks I have decided to contact you in an attempt to trace some of my long lost family members. I believe that you may be able to help connect me with one of my long lost twins. I’m not too sure but sometimes my owners tell me that they may have spotted one of my relations whilst watching your program ? Please find enclosed photo which may help you in your search…!!! They tell me that he may sometimes hide on one of the shelves in your London office and may have an extended family who seem to keep him company…. Hi Dean, this is Monkey. Long-time no see, hear, speak! You’re looking well. 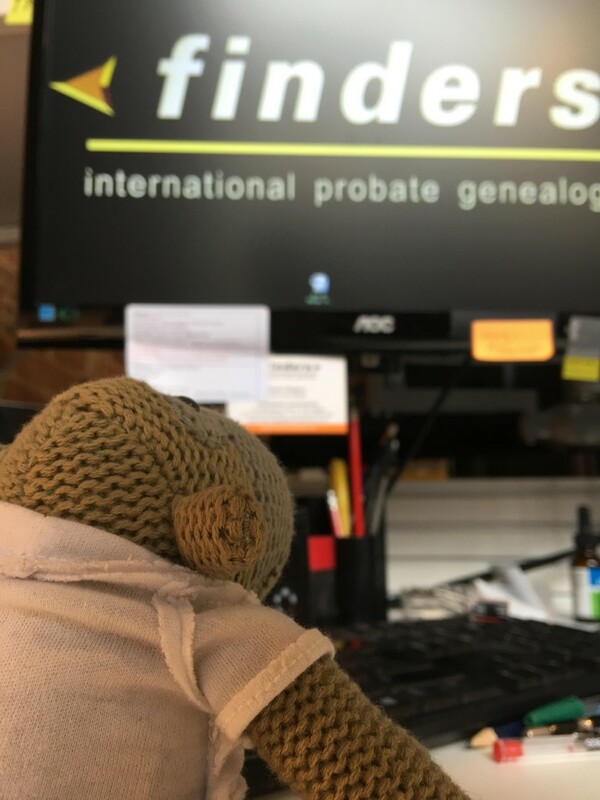 As you noticed I’m now working here at Finders International after monkeying around in Borneo on my gap year. Have you been? It’s A.M.A.Z.I.N.G! I started as an intern here and was a bit woolly initially but now I’ve traced my family tree all the way back to the cenozoic period (amazing huh?). Turns out some of our ancestors were movie stars in planet of the apes!!! I know, right – Super cool! The South of France looks top bananas! Tweet us some more pics @FindersProbate – The guys here would love to see them. I must get back to work now (proper monkey business! ), the BBC are banging on my dressing room door, but we’re glad you like the show. Keep watching…. I hope to have a bigger part in the next series.